PULLMAN, Wash. – “Drive,” music written in honor of the appointment of Kirk Schulz as the 11th president of Washington State University, will premiere in a free, public concert of the Symphonic Band and Symphonic Wind Ensemble at 8 p.m. Thursday, April 13, in Bryan Hall. PULLMAN, Wash. – The recruitment period for a new faculty athletics representative (FAR) has been extended by two weeks to Friday, Feb. 3, after the initial application period was compressed due to the closure of the university Wednesday and competing priorities at the beginning of the semester. PULLMAN, Wash. – The Faculty Senate moved on Nov. 17 to support the Nov. 14 letter of President Kirk Schulz giving “unwavering support of diversity and inclusion” at Washington State University. PULLMAN, Wash. – Washington State University’s vice president of student affairs on Friday reaffirmed the university’s support of the university’s student conduct process in the wake of questions raised by the Seattle Times and allegations made by APIC and other organizations. PULLMAN, Wash – The Washington State University Foundation honored emeritus professor of plant pathology and eighth WSU president Samuel H. Smith as recipient of the 2016 Weldon B. Gibson Distinguished Volunteer Award at the annual Recognition Gala Sept. 30. 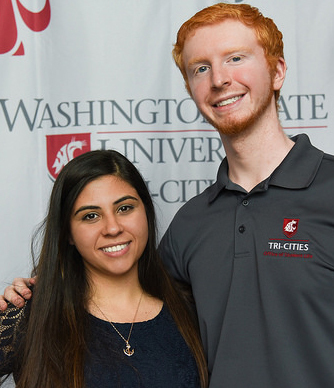 RICHLAND, Wash. – Israa Alshaikhli and Tyler Schrag are the newly elected president and vice president of the Associated Students of Washington State University Tri-Cities (ASWSUTC) for the 2016-17 school year. PULLMAN, Wash. – Daniel J. Bernardo, interim president of Washington State University, was honored Wednesday with the WSU Alumni Association’s highest award – the Alumni Achievement Award – in recognition of his leadership as interim president, provost and dean. 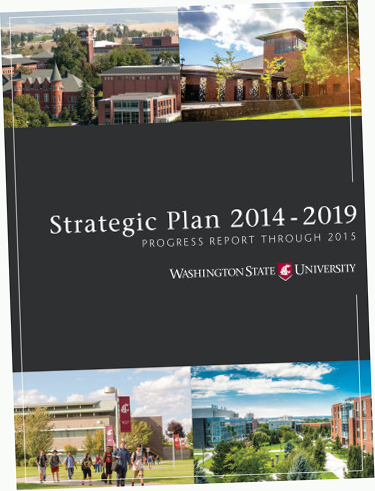 PULLMAN, Wash. – The recent progress report on the strategic plan for Washington State University will be discussed, followed by a question and answer time, at 4 p.m. Thursday, April 28, in the CUB junior ballroom. A reception will follow at 5 p.m.